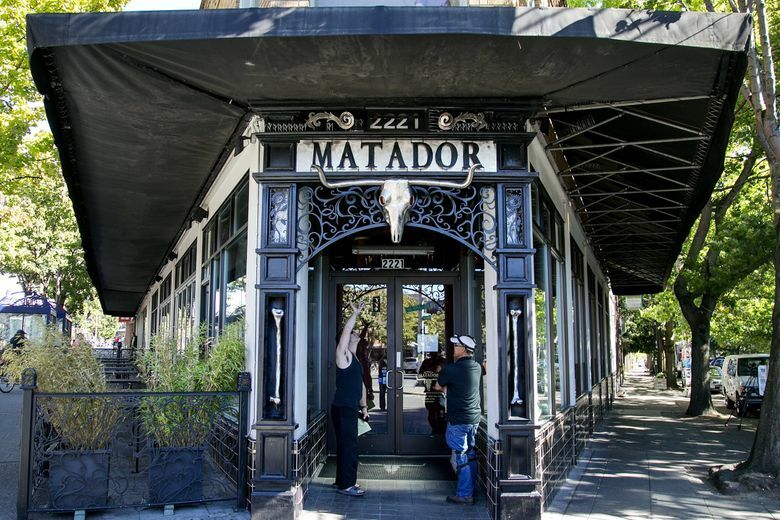 An outbreak of E. coli food poisoning linked to the Matador restaurant in Ballard last week has expanded beyond the site. At least 10 people have been sickened, including three in three other states. 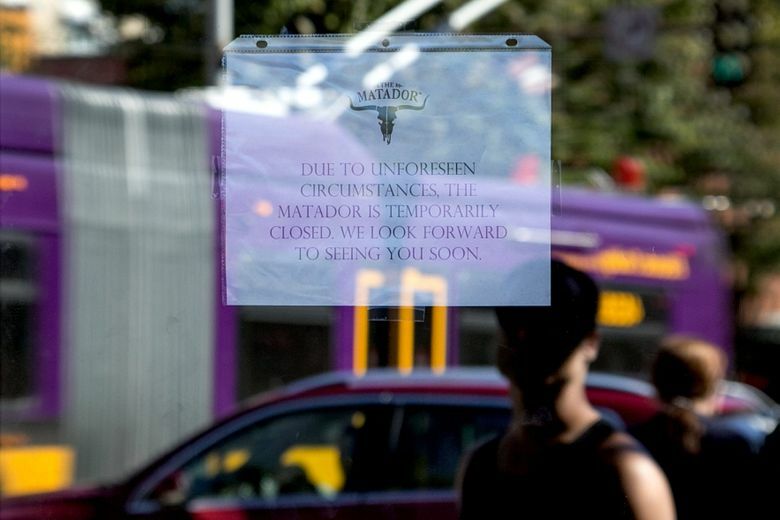 An outbreak of dangerous E. coli food poisoning that closed the Matador restaurant in Seattle’s Ballard neighborhood last week appears to be linked to more illnesses in Washington and three other states, health officials said Monday. Five people were sickened with a Shiga toxin-producing strain of E. coli O157:H7 after eating at the restaurant in August. Three people were hospitalized, including a 16-year-old girl who developed a dangerous kidney injury called hemolytic uremic syndrome. But two more Washington cases — one in Skagit County, one in Snohomish County — have been detected that have no known connection with the Matador, a spokeswoman with the state Department of Health said Monday. And three cases with the same genetic fingerprint have been detected in three other states, officials with the Centers for Disease Control and Prevention indicated. One of those people visited Seattle and ate at the Matador in Ballard. That’s a total of 10 cases of what are known as STEC infections — but just six of those cases now appear related to the restaurant. The investigation is fluid and ongoing, local health officials emphasized. It may turn out that the additional cases aren’t part of the same outbreak. Still, reports of such dispersed illnesses with a similar genetic fingerprint indicate that the problem might not lie entirely with the Matador in Ballard. The restaurant closed Friday after inspectors with Public Health – Seattle & King County said they temporarily suspended the firm’s food business permit to allow thorough cleaning and sanitizing. “It’s looking more like a potential source, a contaminated product,” said Dr. Meagan Kay, a medical epidemiologist with King County. State and federal officials have taken over the probe, she added. Restaurant owner Zak Melang, who runs 14 sites in several states, said the problem may lie with an outside vendor. He urged health officials to investigate quickly to clear his name. Since 2010, the Matador has been cited 10 times for food-handling practices linked to higher risks of food-borne disease, according to public-health records. Six of those violations were for failure to keep food at the proper cold holding temperatures, which keeps bacteria growth in check, the records show. The recent Matador illnesses include four people who ate at the restaurant on Aug. 14 and one who did so on Aug. 22. Another person ate there sometime between those dates. Public-health officials received the first report of illness on Aug. 22; the most recent case was reported on Sept. 6. Five people developed symptoms of STEC O157:H7 poisoning, including diarrhea and abdominal cramps. Four people developed bloody diarrhea. Three were hospitalized, including the teenage girl, who ate leftovers from the Matador. All have recovered. The girl’s parents, Kevin Geloff and Julie Treece, of Seattle, indicated they plan to sue the restaurant, according to Marler Clark, a Seattle law firm that specializes in food-safety cases. The parents declined Monday to comment on the case. Shiga toxins are poisons produced by some types of E. coli bacteria that make people sick. STEC poisoning can be dangerous, especially for children and those with weakened immune systems. Symptoms include diarrhea, including bloody diarrhea and stomach cramps, with low or no fever. Symptoms typically appear within three to four days after exposure to contaminated food or other sources. People who ate at the Matador or other restaurants who develop bloody diarrhea should contact a health-care provider to inquire about testing.